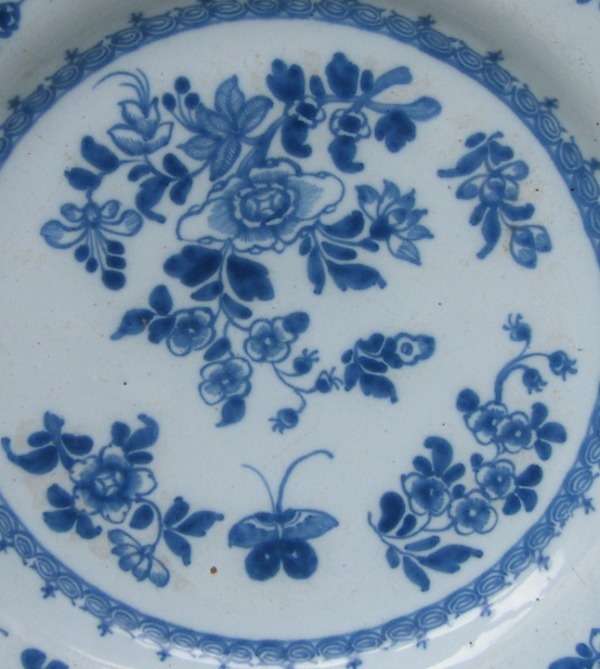 Hand Decorated Irish Delftware Cabinet Dublin Plate by Henry Delamain, decorated with Chrysanthinams and foliage in colours of blue on an off white ground. Condition: As is typical of Delft there is some fritting to the rim. 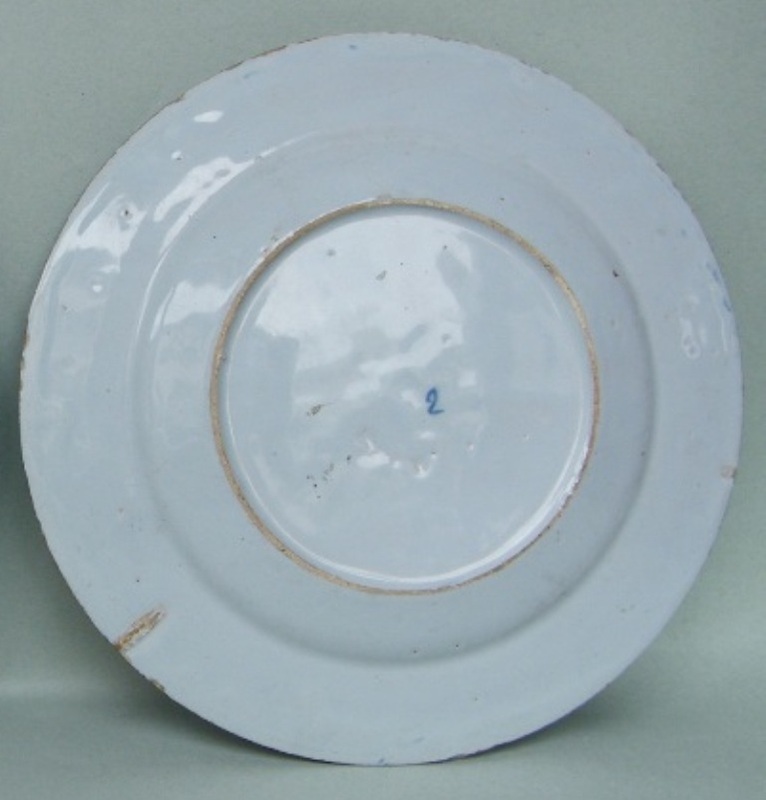 Diameter: 9" (23cm). Captain Henry Delamain was the Son of Henry Delamain of County Kildare Ireland. 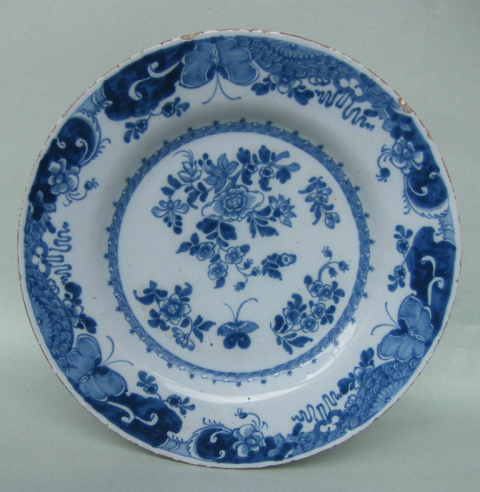 He had lived abroad for twenty years where he claimed to have learnt the art of manufacturing Delft and earhernware. He owned a Delft Manufactory in central Dublin City during the last half of the Eighteenth Century. Further reading and more similar examples see "Irish Delftware" a book all about the exhibition of Delftware at Castletown House Celbridge Co. Kildare.